CREA Geneva is a training school that helps students to become web competitor through courses which are on digital marketing and art direction but also by offering more precise masters in luxury, fashion and sports. 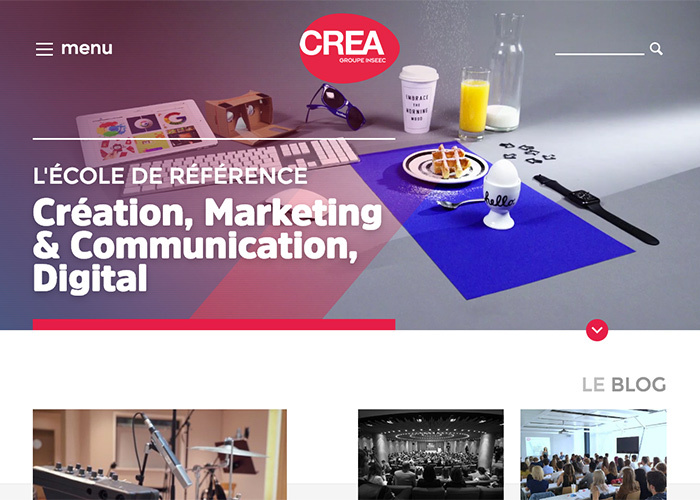 CREA Geneva site combines many animations and cinemagraphs to provide a smooth navigation to the user through the website. We advise you to restart the home page to view all the available cinemagraph. The mobile experience is was thought to favor the acquisition with a call to action who follow the user’s scroll. The website and mobile version’s end goal is to encourage potential students to register for an open house or to contact the school.